As of this writing, launch of the space shuttle Endeavour has been again delayed; here in the garden, though, the Rocket has been soaring for days. 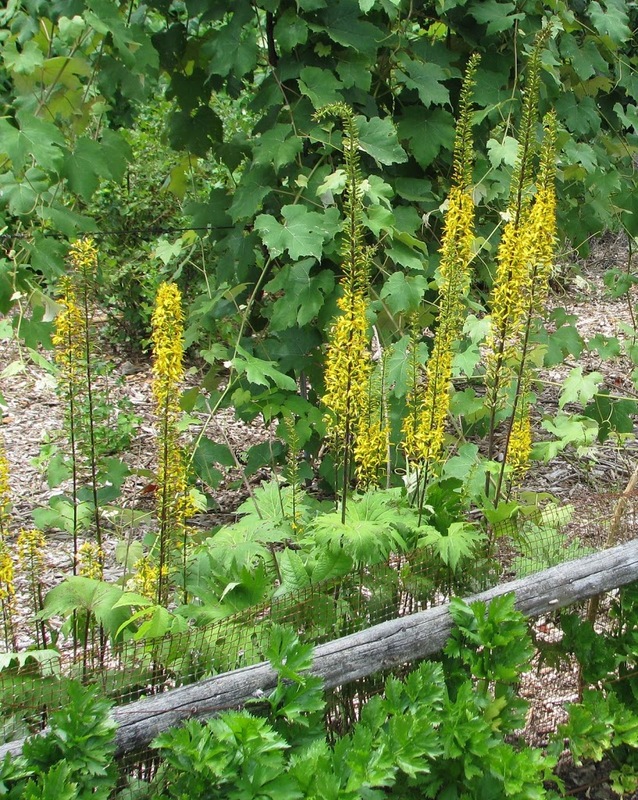 That’s Ligularia ‘The Rocket,’ a perennial with a whorl of dark green leaves at ground level from which shoot skyward 5-foot-high vertical spikes lined with small, yellow flowers. The flowers open from the base up so each spike is streamlined by being more slender and less colorful as you look up the spike. Sort of like a rocket. In contrast to the Endeavour, Ligularia ‘The Rocket” doesn’t need bright, sunny days to launch. In fact, leaves typically wilt in full sunlight. Then again, growing in shade, the spikes would curve towards light, ruining their rocket-like appearance. So filtered sunlight is generally recommended for this plant. Friends have made sightings and I’m braced for an onslaught. 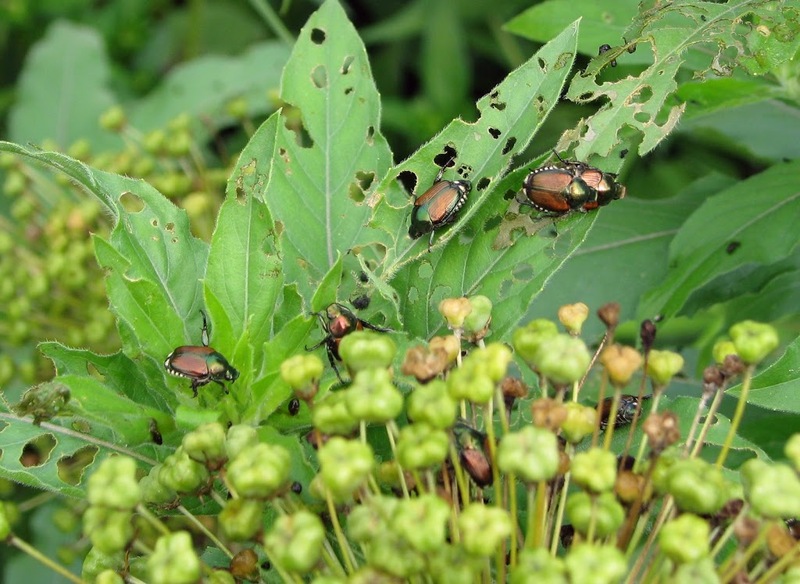 I even saw a couple of Japanese beetles myself a few days ago but now they seem to have gone underground. (Figuratively, that is. They won’t be laying eggs in the soil and living underground as grubs for at least a month.) I’m sure I’ll be seeing the metallic green beetles again soon. I’m at a loss for what to do. Spraying pesticides is out of the question. I have too many plants, too many of which are edible. Poisons on edibles sort of takes the enjoyment out of eating them. I guess if I had one or two prized plants struggling along under attack from Japanese beetles, I might resort to sprays. Then again, I could just wrap them in some fine mesh material such as Remay. For me, berries are the essence of summer. So summer has officially begun: Just before the end of June I began eating blueberries and blackcurrants, and now there are plenty. 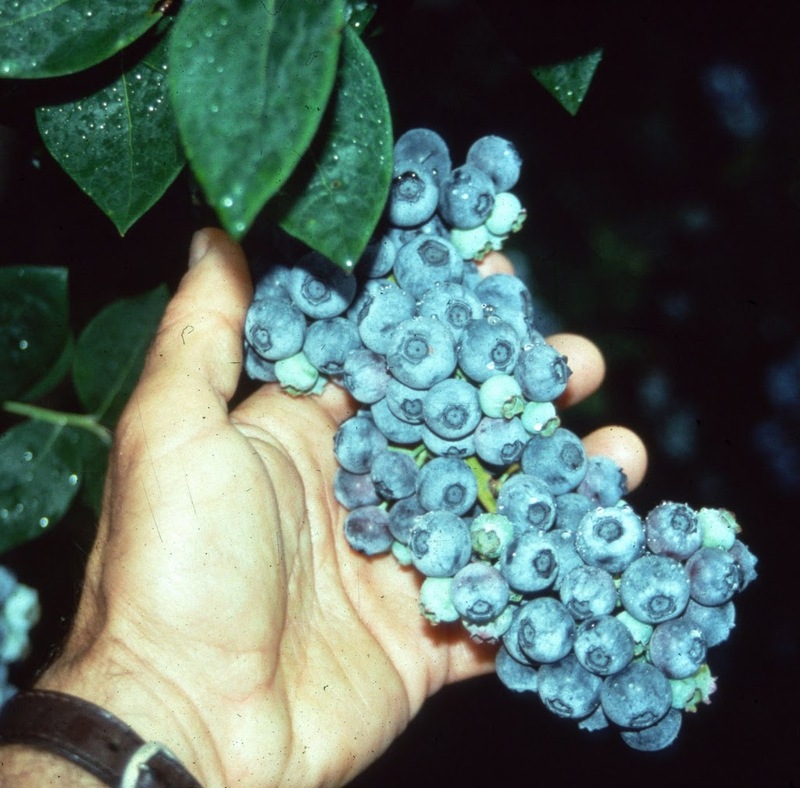 Blueberries are familiar, blackcurrants are not, but deserve to be better known. With a strong, distinctive flavor and not a whole lot of sweetness, blackcurrants are a fruit that only some of us enjoy fresh. Apply a little heat and some sweetener, perhaps a pastry shell (or not), or just squeeze the berries to make juice, sweetened or mixed with other juices, and you have a fruit that just about everyone enjoys. I’m much more adept at growing fruits than cooking fruits, but I’ll bet blackcurrants would be heavenly paired in various ways with dark chocolate. Dark Lady is in all her glory this year. In past years she grew weakly, mostly because she had to spend the first part of each season recovering from winter damage and the second part trying to build up steam. A couple of years ago I took cuttings from my weak plant. The new plants, rather than being grafted, as was the original, would be growing on their own roots. Any new sprouts on my new plants would always be Dark Lady, never rootstock sprouts, which are worthless for flowers and occasionally grow and sap energy from the rest of the bush. First off, nix on tobacco tea sprays. Tobacco tea sprays, like their commercially available pesticide counterpart, sold under the name Black Leaf 40, are highly toxic.